There’s no time for brakes: We all want our vehicles to take us to our destination and stopping at our destination is crucial. One of the most important pieces of safety equipment on your vehicles, and often the most overlooked, is your brakes. At C.A.R.S. 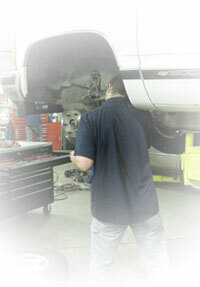 Auto Repair Service we know that you want to protect your yourself, family, friends and employees. When making repairs we go the extra mile with a thorough process to insure quiet, smooth, and long brake life using only quality parts. If you haven’t had your brakes examined in a while, or you hear something out of the ordinary, call us at 616.669.9849 to schedule a check up on your brakes.